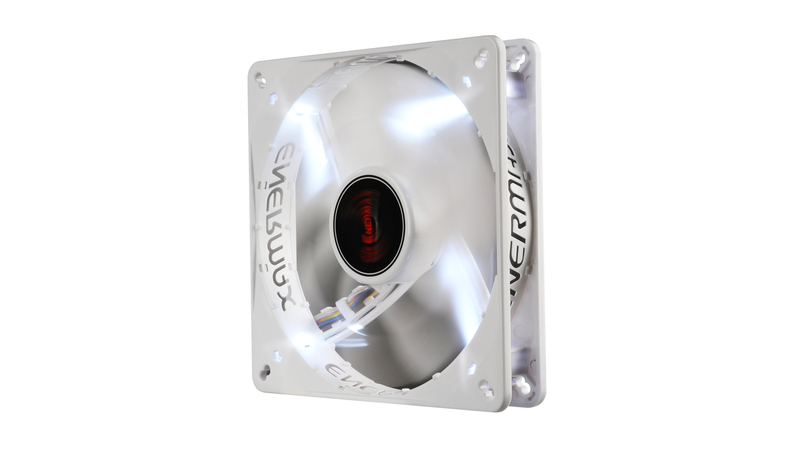 The Enermax CLUSTER Advance is one of the few white fans on the market with four switchable white LEDs that complete its elegant design. 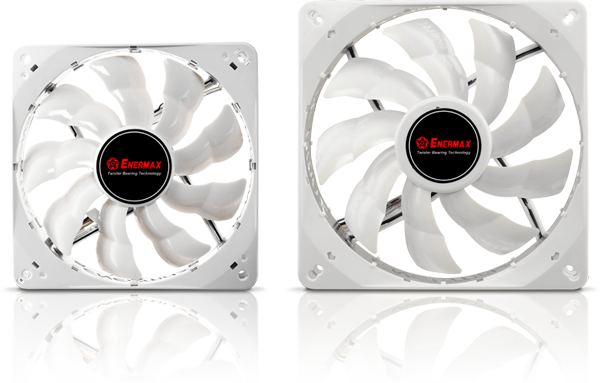 The speed range of the fan can be selected by the Adjustable peak speed (APS) function in three stages: Ultra Silent Mode / Silent mode / Performance mode. 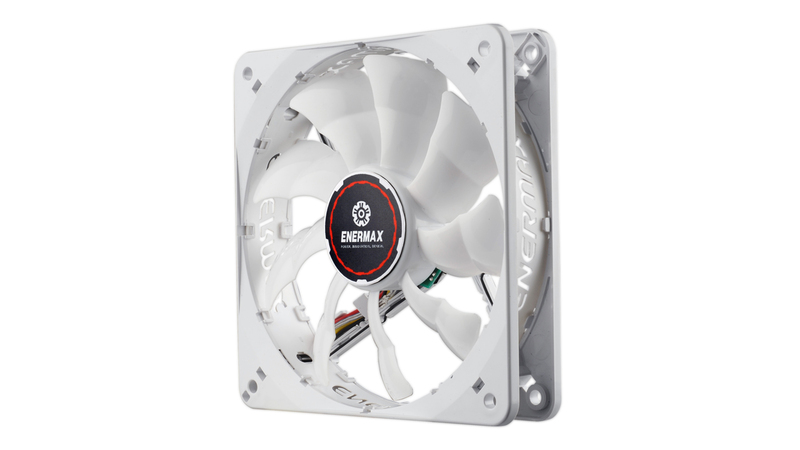 Within the selected operating mode, the fan speed is automatically controlled by pulse width modulation (PWM). 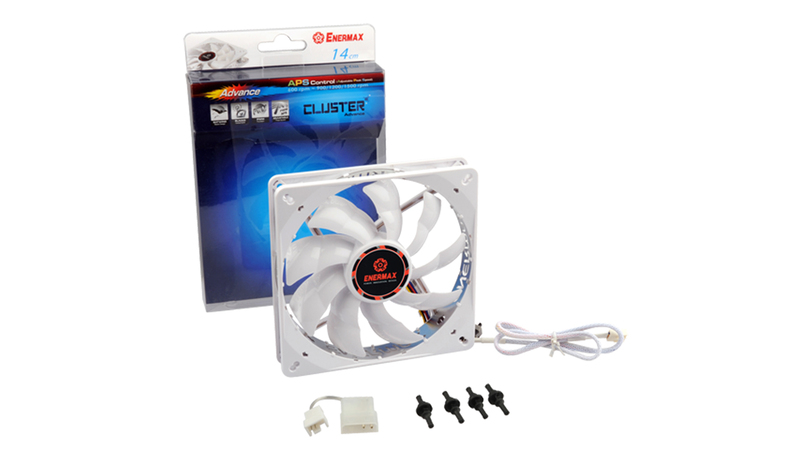 The Enermax CLUSTER Advance is therefore a versatile fan: it’s perfect for silent PC but also for powerful workstations. 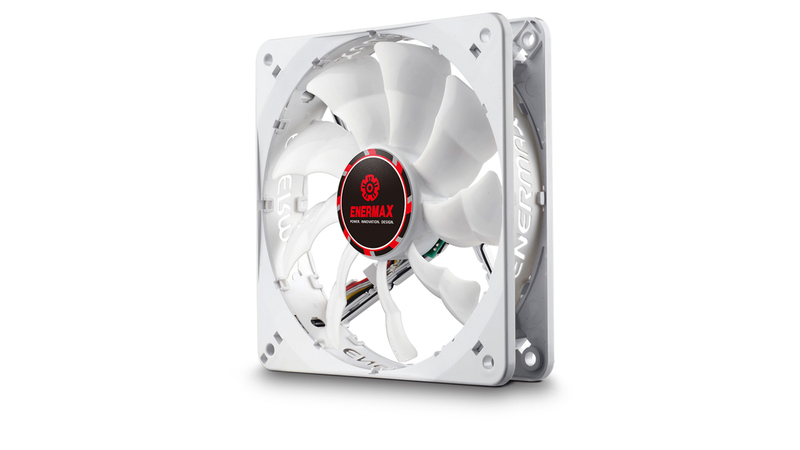 Enermax used the well-known Twister Bearing technology, which ensures a smooth and long lasting operation up to 160,000 hours. 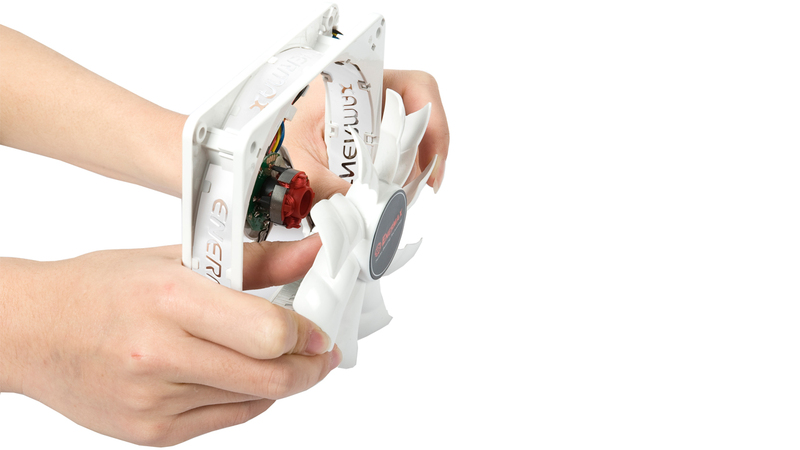 The specially shaped Batwing fan blades increase the air flow by up to 20% and can be removed for cleaning. The Twister Bearing Technology guarantees an exceptionally long lifetime of 160,000 hours (MTBF). 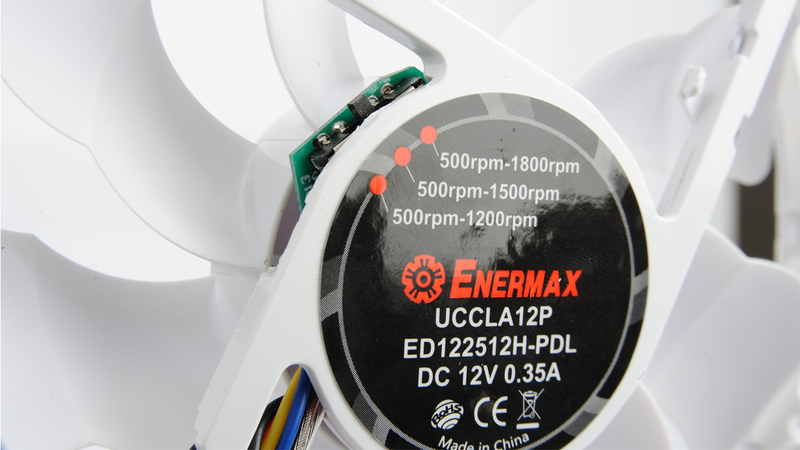 The bearing shaft is fixed to the rotor and small magnet inside the bearing keeps the shaft in position. 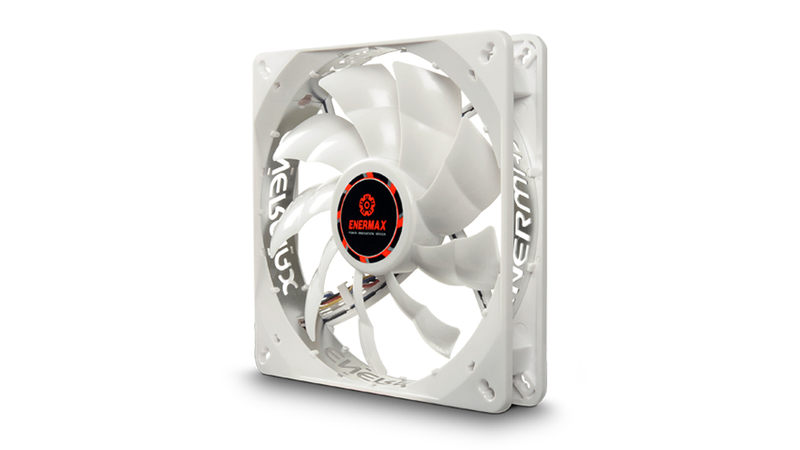 The convex surface of the shaft’s base reduces the frictional resistance and ensures a quiet and smooth fan rotation. The sleeve is made from a self-lubricating material, which prevents the bearing from draining and corrosion. 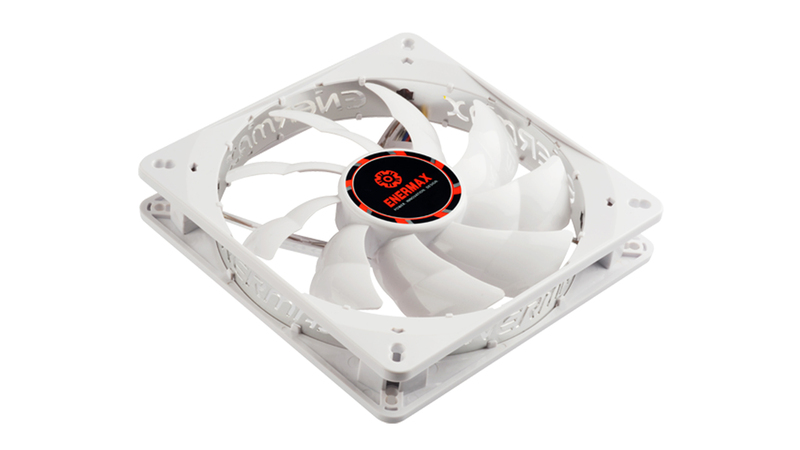 Multi-purpose fan for easy customisation according to the system requirements. With a small switch at the back, the peak speed can be changed in three steps. 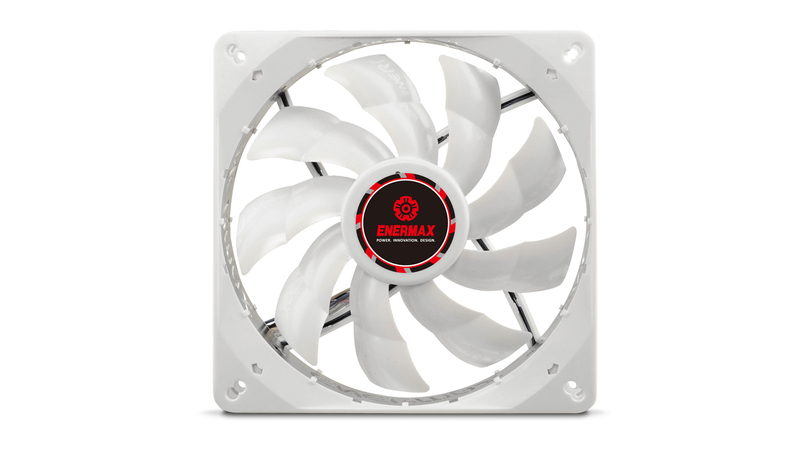 The fan therefore offers three various RPM ranges: Ultra Silent Mode / Silent Mode / Performance Mode. 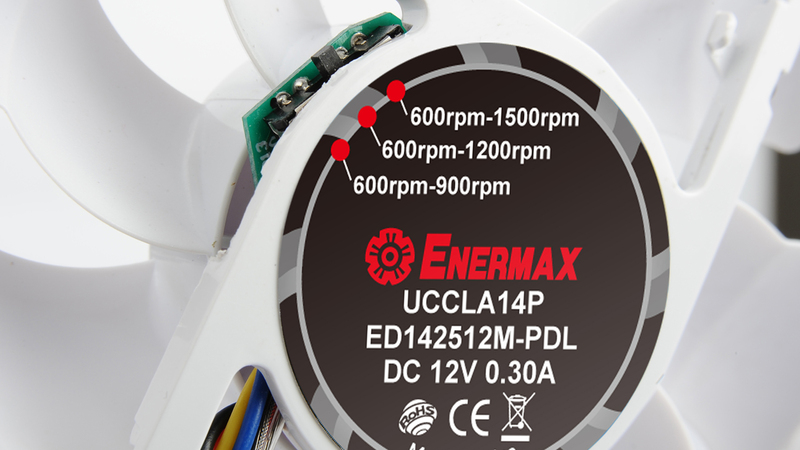 Flexible fan speed control via mainboard pulse width modulation (PWM) within the selected RPM range. 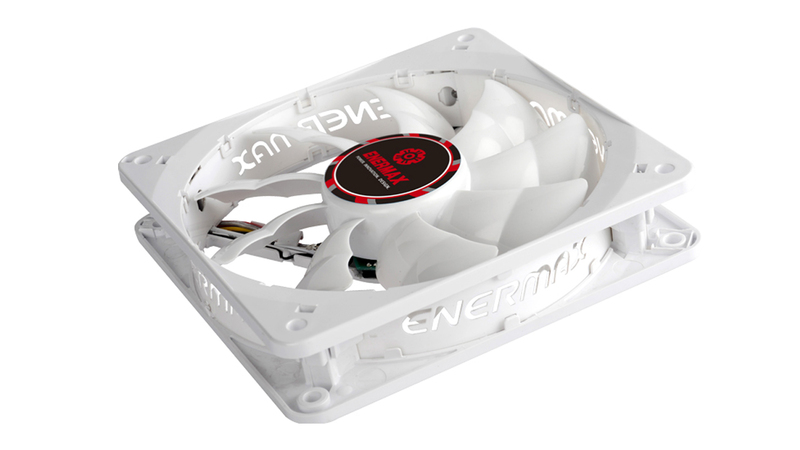 Powerful cooling due to Batwing blades providing up to 20% higher air flow. Detachable blades for easy cleaning from dust. 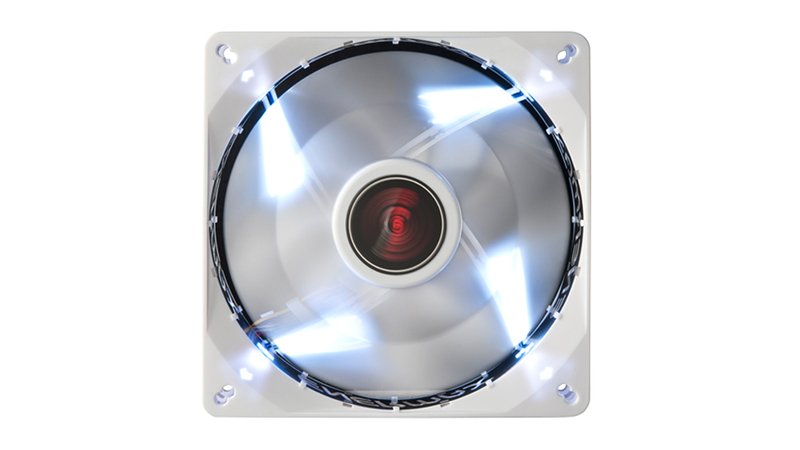 Switchable white LED light in flash design.